We hope you all have had a great new year month so far. Lets give you the updates and some deals! Check out our camp promo featuring some footage from last year! Camp is an awesome training opportunity to LEARN, GROW and become the BEST you can be. We don’t just tire them out, we teach them so MUCH. Sign up early and receive a great discount! Information Below! Summer Camp and Early-Bird Deals. Don’t Delay to register! Space is limited and so are the discounts! Be the first 10 people to register and pay for your camp and receive $25 off any option! When registering, use promo code “10First2019″ To receive the discount! This offer is only valid for the first 10 people to register and pay, so get it while you can. If you are registering for BOTH camps, or have a sibling that wants to attend as well, inquire about our coupons for those deals! July 29th through August 2nd. Come out and join the community! This is our FREE event. We do this the first Sunday of every month. Come out, learn, play and do awesome things! the following are this years community day events. (Event takes place at our gym at 4PM) You can view the events on our facebook, calendar, and or by clicking one of the links below. We have added a few more adult classes to accommodate different schedules. We have added Tuesday at 12PM and Friday at 4:30PM. If YOU or someone you know is interested but can’t make these times, we will consider opening up more earlier in the morning or over the weekend. Additional Level 1 and 2 classes. We are opening up a Home school class as well. Tuesdays at 2 PM. This class is currently for 11 years or older kids, but if we have at least 3 younger kids that want to learn as well, we will open another class. This membership also comes with a special price! Check it out on our calendar! We are coming out with a bunch of new shirts, hoodies and sweat pants designs that you guys will be able to pre-order to have cool gear, and help support us! We will be shooting out pictures and stuff for that soon. We will also be having some contests where we will give out some gear! 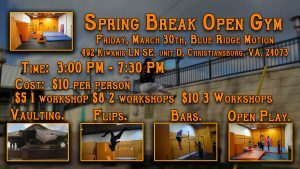 As some of you may know, we recently sponsored a young teen from Roanoke to learn tricking at our gym. Well we decided it was so much fun bringing that creativity in, that we want to find a couple of girls to sponsor as well. Here is what we require on our end: 1. Post something on their social medias at least once a week, or as they come in to train if they aren’t there once a week, and tagging Blue Ridge Motion in their post. 2. Athlete has to be compatible with our standards, and not posting content we as a company disagree with (we don’t want to be misrepresented). 3. We prefer someone that’s upper teens or young adult. And that’s about it. We are looking primarily for someone who wants to learn Tricking, and or someone who wants to learn Parkour/Freerunning. You would have access to us as professional coaching resources, free classes, free open gyms (and you can bring a buddy for a limited number of times, then they pay a discounted rate) And in the future we want to be able to offer more, but this is what the program is for now. If you or someone you know might be interested, let us know so we can get in touch. Click below to view how we operate. Thank you to everyone that has supported us thus far, we strive to deliver the best physical training we can to you and to help you, your family and friends succeed, get in shape and learn to overcome all obstacles. Elijah Bowen – Owner, Head Coach. Copyright © *|2016|* *|Blue Ridge Motion|*, All rights reserved. November came and went before we knew it, now it’s December and already almost Christmas time! Read on for some important stuff, awesome news and good deals! Closing dates! Winter Break mini Camp! Some good and exciting things coming this new year! We want to have the best movement facility around to accommodate our loyal customers and friends, so be looking forward to a couple of new things we will be offering in the next few months! It would not be possible without YOU. We will also be putting out some new years specials, and special events, so be watching for those! NEW MERCH coming soon! We are excited to announce we are stepping up our game with more clothes and options for you guys, so be looking out for that as they would make great gifts and are unique shirts and designs. New deals on memberships; Everything will be the same, but you will have MORE options…. Contracts with terms ranging from 3-12 months, each of which will save you a decent amount of money, but the cost will be upfront and require a signed agreement and a credit card on file. We will also be offering extra courses for low rates for students as well as intro courses and more for others at very decent rates at contracts for 6-8 Weeks. New referral option that will make referring even better! Initially, we offered a $15 credit to anyone who would bring someone in or if they come in and say YOU sent them, and they sign up for a membership, well now it’s even better! We have discount cards we have printed off, and they offer some significant discounts, this is in an effort to promote our gyms growth and you guys are a big part of that. Part of this program is that you can take the coupon codes and give them to friends you believe to be interested. If they come in and redeem one and tell us you sent them, we will give you a $20 credit towards your membership. If two get sent in, we give you $40 off, and for a third, you get a free month of the membership of your choice! So here is the good part, if you can get us 5 new members, you can come for free for the duration of their memberships as often as you want. this is subject to some unique requirements, the main one being they have to be new kids that haven’t been with us before. New Classes for different people! We will be adding a new member to our team come February or so. He is a certified MoveNat Guy, who will be offering classes on natural movement, rehabilitating people, and it will be a great class for people wanting to regain their mobility. This will be an awesome option and there will be more details to come! Tumbling classes! We will also be looking into the possibility of adding classes specifically for tumbling/Tricking. let us know if you’re interested! Health and Wellness! We will be doing some very interesting things in the next year and will be offering a very unique and effective therapy treatment for our students and families that will improve your over all health and has zero side effects or risks. Be waiting to hear more on that! The only thing holding us back from starting it is money, so if you’re interested in being an investor with us, ask Elijah about the project, and see if you might be interested in being part of it. We offer many perks to those that help us. Don’t forget! The first sunday of each month is community Parkour day! Our next one will be January 6th. We hope you can come out and Jump around! Also due to the lateness of the day, we will be doing the community session starting at 4PM instead of starting at 6PM. Adults can come too! and YES it is still FREE and you are welcome to come and enjoy. Scary good deals! Events you ought to know about! Important stuff!! Great deals, closings, upcoming events and all else! October happens to be my birth month, so to celebrate, I am giving everyone a 40% off discount for any party options and extras! Your party doesn’t have to be in this month, it can be booked for anytime, but must be paid for this month. This deal only lasts for the month of October, after that it’s back to the normal rate. This means you can book your Open Gym party for just $90!! Or a ninja party for only $135! Or heck, go all in and lets do a sleepover party! ordinarily $450, for this month; $270! This is one of the best party deals around, and we know it, so take advantage of it while you can! To book your party and extras, please call to confirm the date and time you want (availability limited) prior to booking your party! Options can be seen here at this link. use checkout code Oct40 to receive the discount! Join us for JAM-lumbus day!!! Ordinarily we would host this community day on Sunday, but since Columbus day is so close to it, we decided to do this on the 8th of October and go play at Caboose park in Blacksburg, behind the aquatic center! 4PM til 7PM! We may also be meeting earlier in some other locations, so if you can join us, join us! Click here for the event details! No Reservations needed. Just come! This event WILL be weather permitting. If it’s raining, we will have this at the gym! Bring your friends and family and come play! Adults welcome too! Halloween Theme Week and closings! During the week of Halloween, we will be wearing costumes, doing flips, parkour and playing lots of Halloween themed games, and even giving out candy as prizes for best costumes, most functional costumes, etc! We will however not have classes on the 31st since it is Halloween and everyone will likely have plans. But if you really want to come play, let us know and we might open up the gym for open play during the day! Other events and deals coming up this year! We have lots more to do before the year is up! Here is brief list of upcoming events, and some dates, so you can be ready! November: In honor of veterans day, we will be offering Veterans 25% off memberships, parties and open gyms! So tell your enlisted friends, and come train! No classes on the 12th (Monday) in honor of veterans day. Community Parkour Day: November 4th. Free Parkour beginners class for Veterans. Thanksgiving: Thursday, November 22nd, we will not be having class. December: We have a handful of unique events coming up in December! Community Parkour Day: December 2nd. Location TBE, weather permitting. National Ninja Day: December 5th, 5pm-8pm. Ninja parkour JAM and Filming! Christmas-New Year: the 24th of December through to New year, we will not have any classes. New Year Lock in party: December 31st 7:30- January 1st. 10AM. This event will only take place if we have enough participants coming. Don’t forget, the more you help us, it helps you! For every person that comes in and mentions you by name when they sign up for at least one month, you get $15 off your membership the following month. That means if your child can bring 4 friends that sign up you’re sitting on a free month! The more people that come in because of you, the more benefits we will give for your support. We couldn’t do all this without you, so we want to make your life better. Hand out our cards, tell your friends, and we’ll help you too! Thank you everyone for your patience! We are excited to be coming back to you in the next month and bringing you some good deals, and some interesting and unique events! Please read on for more information. When do classes start back?! SEPTEMBER 3rd is the first day back to a regular schedule. For details please check our website calendar for the classes/times. We are starting classes back in Christiansburg, and our Floyd classes. 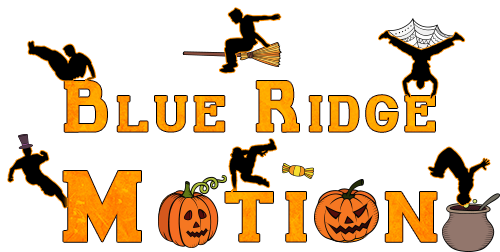 Blueridgemotion.com/calendar So sign back up and reserve your class times! 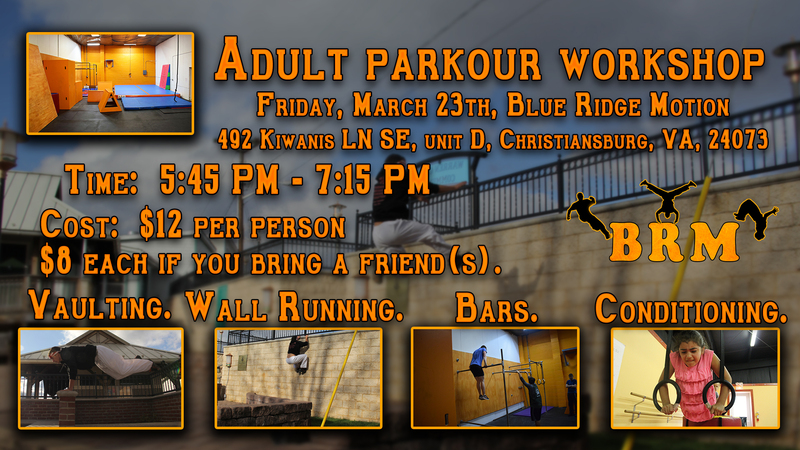 Once a month we will host a community day for Parkour at our gym or in various locations. This is an event for everyone, kids, adults, etc.. This is an opportunity to come, train, learn and play! Instead of charging for this event, we are going to do this event based on what ever you decide to give. 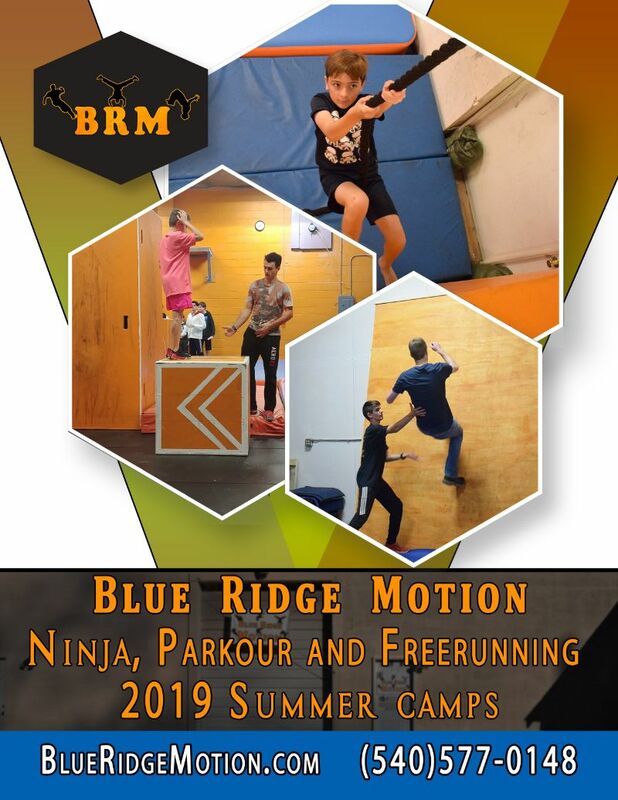 We want to grow the community in our beautiful NRV region and make Parkour a part of things, so if you want to give, give what you are impressed to give, and if you don’t, just come and train and have fun, no pressure, no obligation! The money we gather will be used to help us grow the local parkour community. This will be the first Sunday of each month. Locations and times will vary, please just check our calendar and facebook, or website for information, and details. Click here for the event details! September 29th (Saturday evening) at 4:00 pm and will run til 5:30. 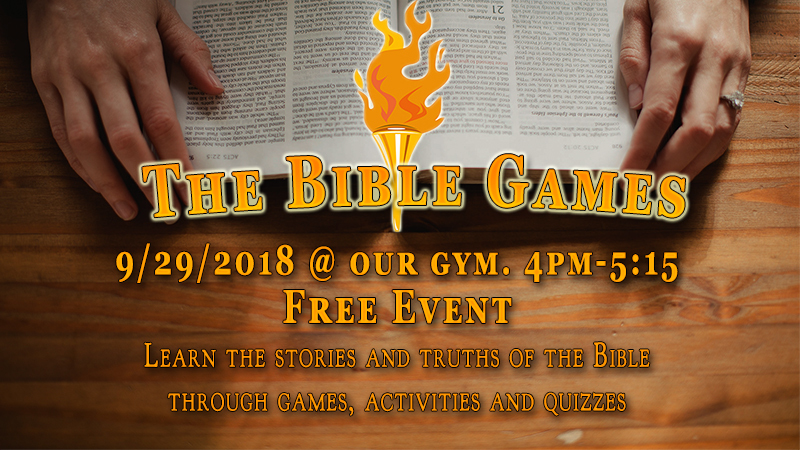 This will be our first ever Bible games event! We are excited to present to you, a different experience. A more immersive way to learn the bible! 1. Back to school party! 20% off any party option you choose now through September. 2. Now through September, 1 private lesson $25, or 2 private lessons $45.Referral program. Office: Officestaff@blueridgemotion.comElijah Bowen – Owner, Head Coach. Happy Mothers day mom! 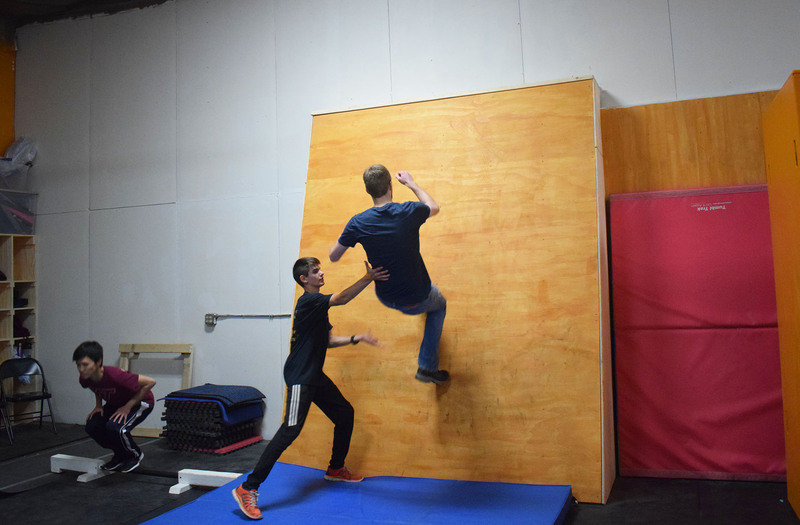 We know there could be some moms out there wanting to learn the basics of Parkour, well we appreciate that you have the hardest job in the world, and so for mothers day we are giving you a whole free month to do some adult classes. It doesn’t have to be this month either, just come in and reserve your free month. The only requirement is that you be a mom. No Floyd Classes for the Summer, but…. As you should be aware, we will not be offering classes in Floyd over the summer. Simeon, our main coach out there, will be needed in Cburg for the summer. So come June, no more classes. That being said, please be paid up for your final month in Floyd, or transfer over to Cburg for classes and sign up for our summer camps! 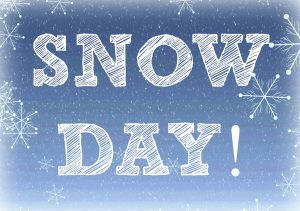 Snow day- No classes or open gym. too much snow for us. No open gym or classes today. Please schedule your make up classes accordingly if you usually attended today. See you all tomorrow weather willing. Don’t forget we have open gym, if you want them to get some of that pent up energy out! Stay warm and stay safe.